Swim, Run & Jump on Thurdsday! 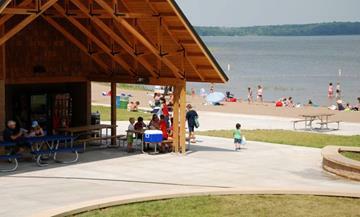 Join us this Thursday evening for a fun, family oriented pack meeting at Big Marine Park. 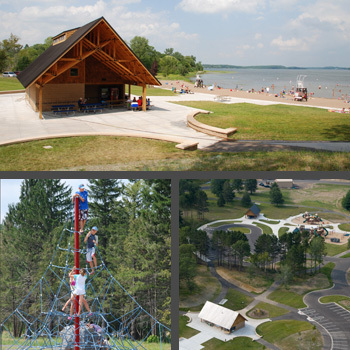 This nearby park has it all, a lifeguarded swiming beach, a huge playground, and picnic pavilion. Cub Scouts will play "field day" type activities, eat grilled hot dogs and have a great time together. IMPORTANT: A Washington County vehicle permit sticker is required to enter the park. The cost is $5 for a daily permit or $25 for an annual vehicle permit. If you'd like to carpool with someone who already has a permit sticker, please email Outings Chair Mark Viker by Thursday morning to make arrangements. 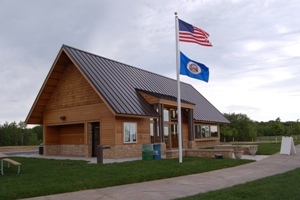 The park reserve is located in northern Washington County - between Hugo and Marine on the St. Croix. The entrance is located on Manning Trail (County Road 15) just north of 170th St. N. (County Road 4) in May Township. We'll be grilling hot dogs, we'll provide buns, plates, napkins, drinks, ketchup & mustard. The rest is up to you. Bring along a side or two for your family to enjoy or any special diet needs. Note: This isn't a "pot-luck".